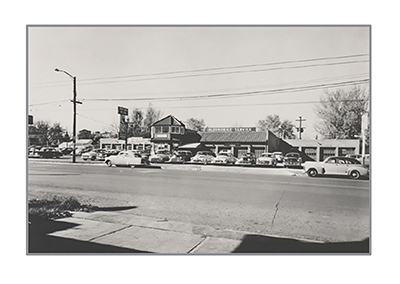 This year marks an important milestone for Schomp Automotive: We have been serving the Denver community for 77 years. Among the many ways to describe how we feel are happy, proud, humble and, especially, thankful. We are thankful to our friends and customers; to a wonderfully hardworking and creative team of employees; and to the community that has supported us over the years. That support has been essential to our success, and it enables us to celebrate our 77th anniversary with another milestone – the purchase of the Shortline Subaru, Hyundai and Mazda dealerships in Aurora and the addition of 180 new team members. 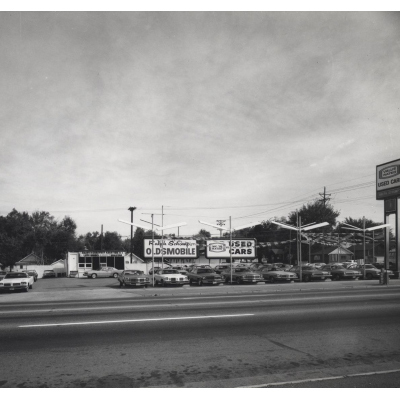 We’ve made a lot of progress since opening with a few Oldsmobiles in a repurposed filling station in Englewood in 1941! 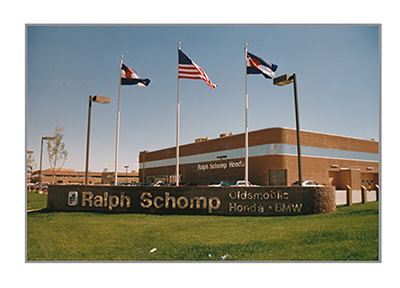 The Shortline purchase makes the Schomp Automotive Group the largest family-owned and operated dealership group in Colorado. We’ve moved beyond Colorado’s borders, too. 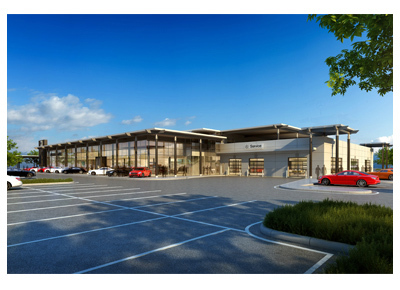 Two years ago, we were awarded a location in suburban Salt Lake City and built Mercedes-Benz of Farmington, which has grown quickly to become the largest Mercedes-Benz dealership in the Salt Lake area. In its first full year of operation it won the manufacturer’s “Best of the Best” award. Schomp Automotive will continue to offer the same high-quality, personalized customer service that has characterized our business for 77 years. That includes our industry-leading “One Price – No Hassle” sales philosophy that we adopted in 1993. Our customers tell us they love what we call “One Price. One Person. One Hour.” It has several imitators these days, but as the pioneer, Schomp Automotive has practiced it longer and better than anyone. It’s just one example of how Schomp Automotive has stayed true to our roots as a family-owned and operated business. At a time when the automotive industry is consolidating and becoming more corporate, we have made the decision to remain independent. As owners we are accessible to our customers, employees and the community. We live and work here and we are able to see the effect that our efforts have every day. It’s a powerful incentive to keep striving to do better. We understand that our business’s success allows us to provide employment for hundreds of hardworking people who in turn help keep the local economy humming. Our tax dollars support local and state government operations, including public schools. And our business and our employees give back to many community organizations, nonprofits and schools with time and dollars. That’s important to us. Even with our recent expansion into Aurora and Salt Lake City we won’t forget where we came from and the continued importance of nurturing warm relationships with our friends, customers and community. 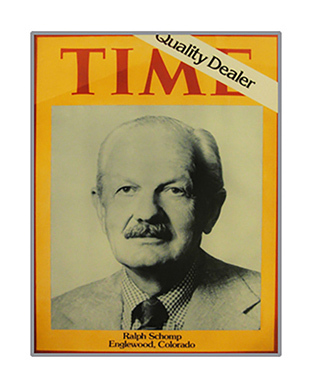 Ralph Schomp Automotive gets its start in 1941 in Englewood, Colorado. Roy J. Weaver, one of Colorado’s automotive pioneers, our current CEO’s great-grandfather, relocates from Pueblo, Colorado, where he sold several different makes of automobiles out of the rear of a livery stable. During wartime, even though gasoline and tires are rationed he parks a couple of Oldsmobile out in front of his gas station to tempt customers and does a brisk service business. The dealership has been growing ever since. 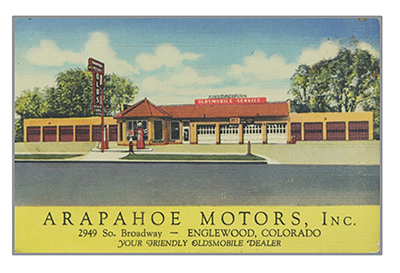 Ralph Schomp, Roy Weaver’s son-in-law, takes over management of Arapahoe Motors, Inc. Plans an extensive remodeling to accommodate showcasing new Oldsmobiles and providing the excellent service customers expected. Ralph Schomp assumes ownership of Arapahoe Motors from Roy Weaver and changes the name to Ralph Schomp Oldsmobile. Founds Ralph Schomp Imports to represent Land Rover, Rover, Austin and MG automobiles. 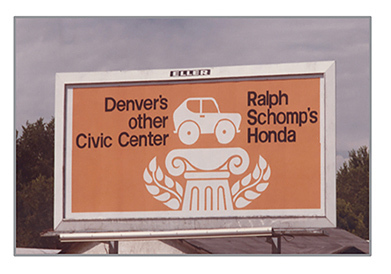 Ralph Schomp introduces BMW (German: Bayerische Motoren Werke) and Alfa Romeo (Italian) to the Denver market. Ralph Schomp Imports moves to new digs at 1033 W. Dartmouth Ave.
Ralph Schomp adds the Japanese-made Honda Civic to its lineup. The Honda line was new in the U.S. Although much smaller than American cars, the Civic was a fortuitous addition with the beginning of the Arab Oil Crisis and gasoline shortages and new environmental rules requiring reduced tailpipe emissions. Lisa Schomp becomes the second woman to attend “General Motors Dealers’ Sons School” at the General Motors Institute in Flint, Michigan. Schomp was a trained architect who entered the automobile business to help support his family and protect his wife’s future inheritance. As it turned out, he was pretty good at it. He applied his strong family values and ethics and established in the car-buying public’s mind that, “We run a very simple business.” His peers in Colorado’s automobile business honored those values with its highest award. Lisa Schomp’s husband, Mark Wallace, joins the Schomp dealerships. Just as Ralph Schomp, Roy Weaver’s son-in-law, was successful as a ‘car guy,’ Mark Wallace shows himself to be a definite asset to the growing business. A graduate of CSU, Wallace trained in the business at a Fort Collins dealership before joining Ralph and Lisa to manage Schomp Automotive. Like most every dealership, we have sales. Unlike most, we only have one – every year during the week after the 4th of July. It began this year and it continues to be meaningful because not only do we give our customers the benefit of great pricing, we donate a portion of our profits to The Children’s Hospital Burn Unit. Ralph Schomp dies and Lisa Schomp completes purchase of Schomp Automotive. 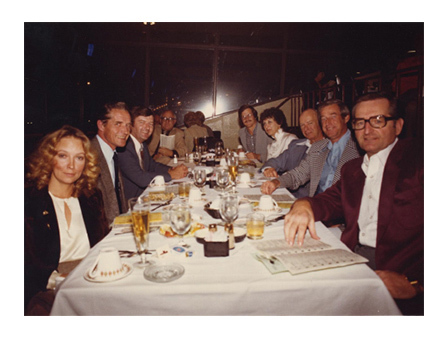 She and Mark Wallace made a formidable team, pooling their marketing and business skills to continue innovating and growing the family business. Lisa Schomp improves the car-buying experience by adopting the “One Price – No-Hassle” sales philosophy in Colorado – the first auto dealer to do so. It was revolutionary and controversial. Customers who had been led to believe that the only way they could buy a car was to bargain – and even to expect to be fooled – were thrilled that now there was a better way. 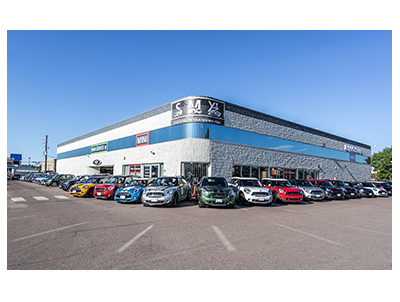 Schomp Automotive becomes the first MINI dealer in Colorado. 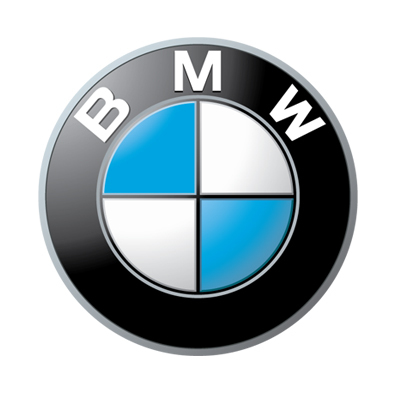 The iconic, legendary British sports sedan brand had been bought by BMW. The German automaker kept the gestalt and the image while applying the best German engineering. MINI was reborn, slightly larger, better but with the same edge. Not just a car … a lifestyle. Schomp Automotive purchases Fay Myers Motorcycle World, Colorado’s largest motorcycle dealership. 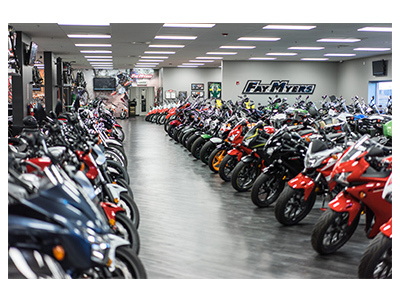 Fay Myers, one of the nation’s largest motorcycle dealerships represents Ducati, Aprilia, Honda, Kawasaki, Piaggio, Polaris, KTM bikes, MV Agusta, and Suzuki brands as well as Honda Power Equipment. 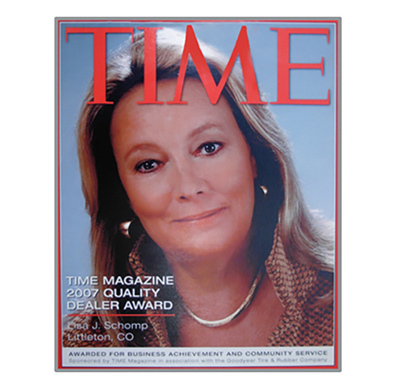 Just as Ralph Schomp before her, Lisa’s fellow dealers in Colorado honor her with the Colorado “Time Quality Dealer of the Year” award and she places in the top five for the national award. 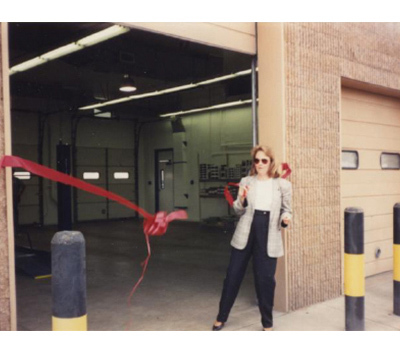 As one of the pioneer women in the automobile business, she proves she has the innovative spirit and drive to be a success … and open the doors to women entering the industry in every capacity. 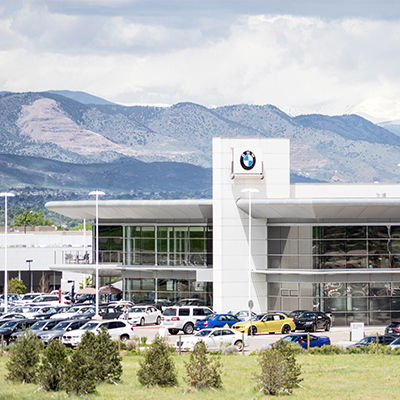 A sparkling new home for the BMW line opens in Highlands Ranch. The 86,000 square foot facility sets the standard for every other BMW facility to come with its spacious showroom and service department. The dealership site, on a bluff looking over the Rockies on the west and toward the fast-growing Douglas County communities to the south, is roomy enough for future Honda and MINI facilities. Instrumental in the facility’s planning and execution, Lisa Schomp and Mark Wallace’s son, Aaron Wallace, assumes operational control for Schomp Automotive, beginning a fourth generation of leadership in the automobile business. 2014 - Not Just Bigger – Better! 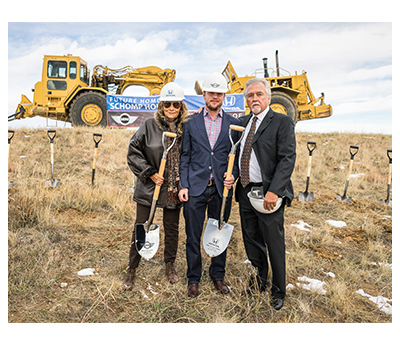 Groundbreaking is held for two spacious new dealerships – one for Honda and one for MINI – on the Highlands Ranch property. The site is convenient for customers from all over the Front Range to reach via Santa Fe or C-470. And the facilities will be the most modern with outstanding customer amenities. They’ll be new facilities but the Schomp emphasis on customer satisfaction will be the same. For the first time in Schomp Automotive’s history, we’ve ventured out of the Denver Metro area, building a new dealership and representing a new brand of automobile. Mercedes-Benz of Farmington opened in 2016 in the suburban Salt Lake City, Utah community of Farmington. We successfully imported the Schomp way of doing business, with all of the customer attention, integrity and excitement that we know how to deliver…and have been for four generations. 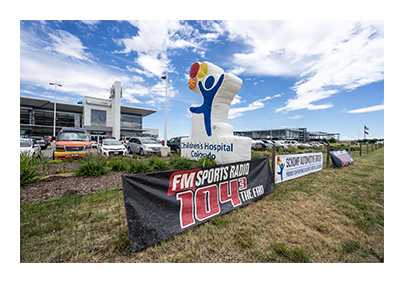 In our 77th year in the Denver area, Schomp planted its flag in Aurora, acquiring three dealerships formerly owned by the Shortline Automotive Group: Schomp Subaru, Hyundai and Mazda on Havana Street in Aurora, CO. 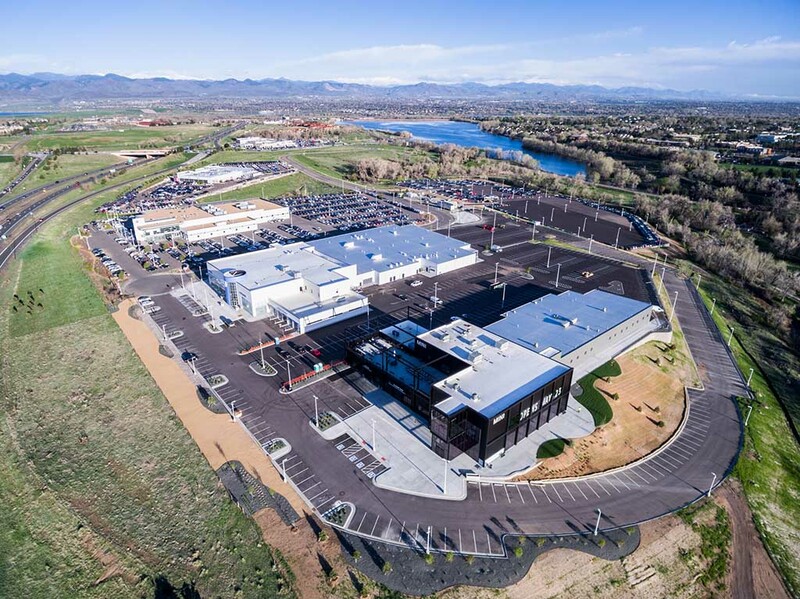 The move added about 180 new team members to the Schomp Automotive Group family, and made the Schomp Automotive Group the largest family-owned and operated dealership organization in Colorado. 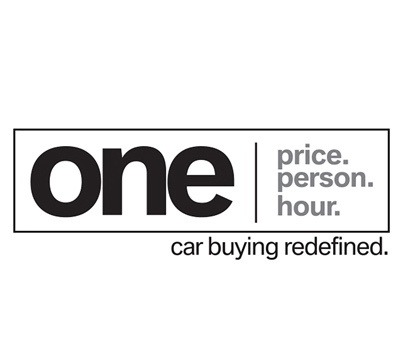 In the first several months of operation, the dealerships transitioned to our pioneering One Price. One Person. One Hour.® philosophy of operating. They provide the same level of excellence and personal service on which our family has built its reputation.